Lights are dimmed while a group of students is getting in the groove to an uncensored "Rollout" by Ludacris, video cameras capturing each movement. After learning the dance sequence together, they each get to individually perform for the camera at the end while the others cheer them on. This is a typical media night at the Academy of Hip Hop, where they showcase dance on video. Everyone is supportive and all smiles. Owner and instructor Nick Santonocito leads with instructor Kevin Uddman, each of their teaching styles complementing the other. Judging from Santonocito's passion for dance and dedication to help everyone learn the moves, it's easy to assume he must have always loved this art. But that wasn't always the case. Growing up, Santonocito had no interest in dancing until he went to a school dance at Deer Park High School and witnessed some kids showing off their breakdancing moves. One was performing the windmill and the other doing a handstand. He asked one of the boys how he was that talented. The kid responded that Santonocito just needed to practice if he wanted the same skills. This defining moment launched his foray into the performing arts world. This was prior to the invention of YouTube and the bliss of being able to Google dance tutorial videos, so Santonocito taught himself by attaining various VHS tapes. After being turned down by several dance studios in Spokane where he was seeking to teach, at the age of 20, he finally got a job at Spin, a dance studio that has since closed down in Spokane Valley. More than a decade later, Santonocito now owns Emotions Dance Academy in Deer Park and Academy of Hip Hop in Spokane, which opened last year. At one point, he also choreographed and starred in commercial work for the show So You Think You Can Dance. Having received Los Angeles-based training from International Dance Academy and Millenium Dance Complex with some of the top hip-hop choreographers, Santonocito prides himself on bringing Los Angeles-style instruction to Spokane. 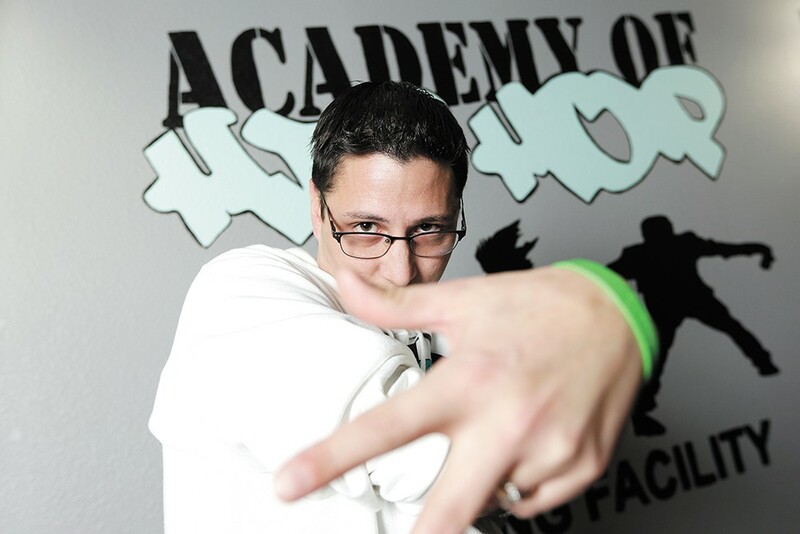 In fact, all three instructors at Academy of Hip Hop have received training outside of Spokane, namely in L.A. and Portland. "When it comes to hip-hop, places like L.A. set the bar for what's popular right now, so you will find that local hip-hop teachers will teach stuff that L.A. was doing two or three years ago," says Christie Pond, office director of the Academy of Hip Hop and dance mom to one of its students. Pond says that Los Angeles dance studios stay up to date with the latest choreography, styles and techniques. Many of the instructors there work with celebrities on videos and choreography for the music business and must stay current. Santonocito wanted to open this training facility in Spokane, because he saw a need to fill. He explains that many students want to pursue dance seriously, but usually stop after high school. He aims to equip the students with skills to go out and be ready to compete in the advanced dancing world. "We're trying to open doors for video shoots and commercials and different things like that, so kids have more opportunity and continue dancing as they get older," Santonocito says. 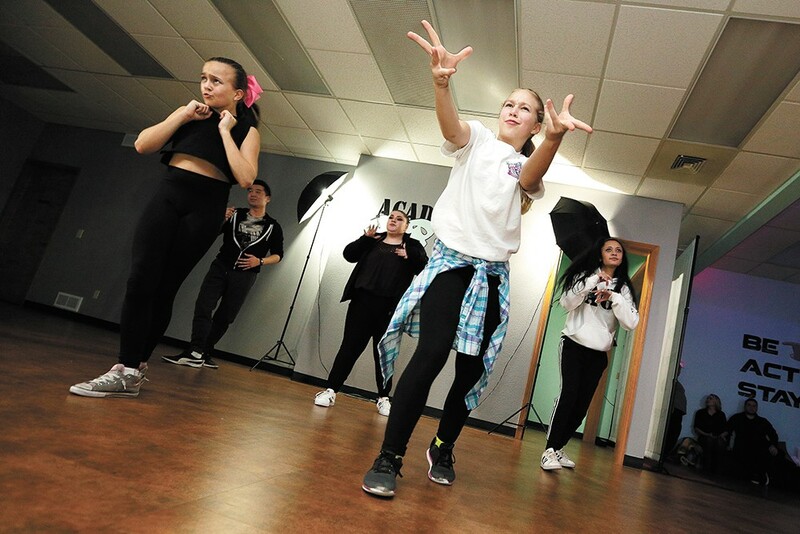 Academy of Hip Hop offers classes ranging from fem hop, a more basic level hip-hop, to hard-hitting hip-hop. Pond says that hip-hop dance is more about finding one's own cadence through expression and movement rather than just copying a set of steps. "I believe that hip-hop is the one style of dance where you can really express yourself and make it your own, because there's not as much structure or rules to it. That's why when the kids aren't doing choreography, you can see that they all freestyle," Pond says. "A lot of styles of hip-hop came from the streets ... it's the only form of dance where you'll see styles from off the street that people did in L.A. or Chicago or New York." The facility isn't exclusive to masters of the art, or certain ages. All are welcome. Academy of Hip Hop ensures that it has training offered for every stage of someone's dance development. The academy has monthly tuition packages or, for the less committed, a $15 fee for drop-ins. Once a month, White Spot Media comes and films a collaboration the students have with dancers from other studios in Spokane. The purpose of these nights is to create footage for Academy of Hip Hop and help the dancers become comfortable with what it would be like in auditions and music videos when they're being recorded. "We have actually developed friendships with some of the kids from other studios, so when we go to competitions now they're rooting each other on. It's brought the dance community together in that way, and I think it's awesome as a parent to see another studio cheering my kid on," Pond says. There will also be a lineup of instructors visiting from other cities to come and teach workshops and classes. Phil Wright, who has danced for artists like Will Smith and Nicki Minaj, will visit from Los Angeles to teach a workshop April 23. In addition to this, the facility is going to expand into other styles of dance such as jazz, funk, contemporary and lyrical. Santonocito, now 34, credits dance for keeping him out of trouble as a young adult, and it's rewarding for him to see the benefits it reaps for the students. "My favorite part is seeing the kids excel. Seeing the kids walk in here who haven't danced ever, and then after they're having the dances down, they're competing. Watching them grow from day one to grow into adults," Santonocito says. "I've had kids start at age 10, and I've taught so long, they're having kids, so I can meet their kids." Pond believes that dance helps provide students, including her daughter Adriana Pond, a healthy way to cope with various struggles. "I just hope for her that she always has dance in her life, because it's one of those things she can use and she does use as a release, a way to deal with stress and normal life issues. It wouldn't be something that she'll want to pursue as a huge profession, but she will always want it part-time," Pond says. The students appreciate Santonocito's teaching methods. One of them, Gina Claeys, likes that the dances aren't difficult to learn, because of the proficient instruction.